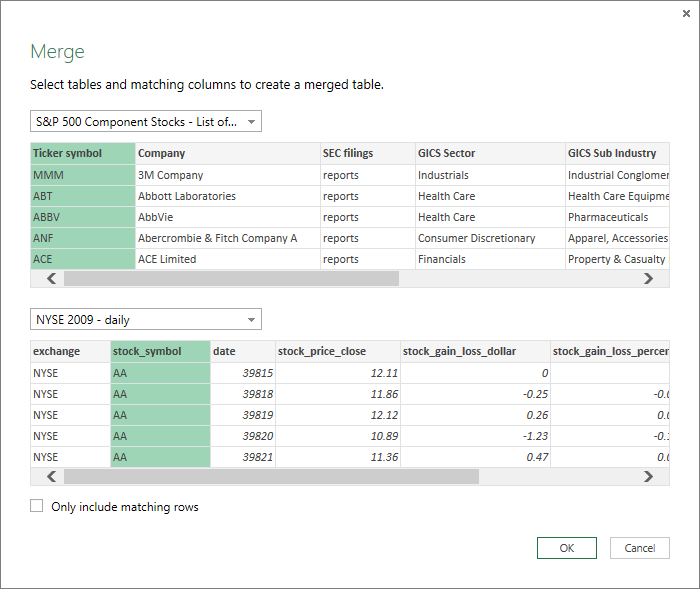 Power Query provides an intuitive user interface for combining multiple queries within your Excel workbook by merging or appending them. The Merge and Append operations are performed on any Power Query with a tabular shape that is independent of the data source that the data comes from. For procedural steps describing how to combine multiple queries, see the Combine data from multiple data sources tutorial. To learn how to merge queries, see Merge queries. To learn how to append queries, see Append queries.